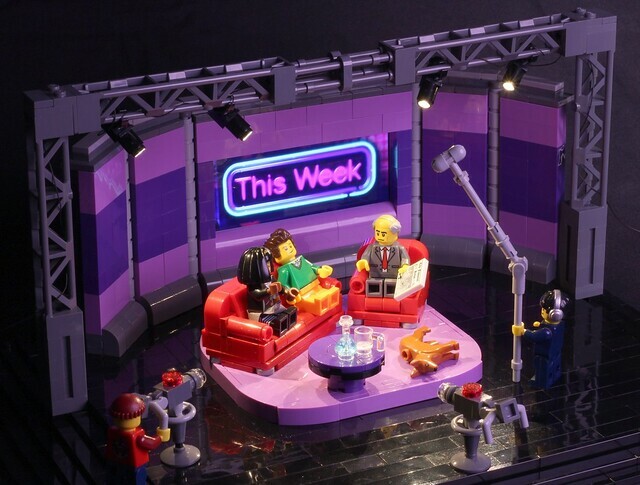 I do love a peek "behind the scenes", and that's what builder Missing Brick is giving us. Welcome to the set of This Week, a BBC political discussion show with hosts Andrew Neil and his guests Michael Portillo and Diane Abbott. But who cares about those people, we're really tuning in to see Molly the dog.